To teach boys that “emotional courage is courage and that courage and empathy are the sources of real strength in life”, the Mentorship Programme pairs senior and junior boys in a mentoring capacity, under the guidance of a staff tutor. The tutor shares time with a small group of boys each morning. This Tutorship Programme in turn strengthens relationships between boys and staff. The Mentorship Programme is regarded as an integral and vitally important part of a pupil’s life at the College. It is designed to integrate the junior boys into the life of the College and the houses as quickly as possible. 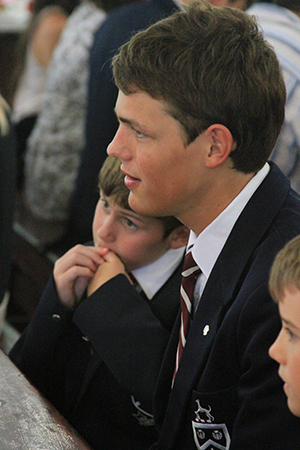 It also provides leadership opportunities for the senior boys, as well as an opportunity to serve.